Eating way too much chocolate will ensure that you can’t fit into any of your best dresses. 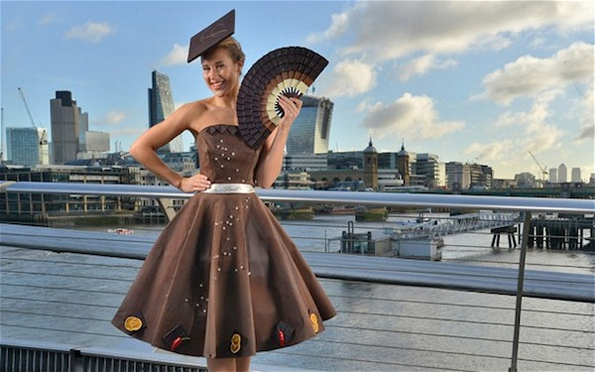 A dress made from chocolate is a better idea. Why? You will be able to squeeze into it, look fabulous, and then start gnawing on it once the night is through. 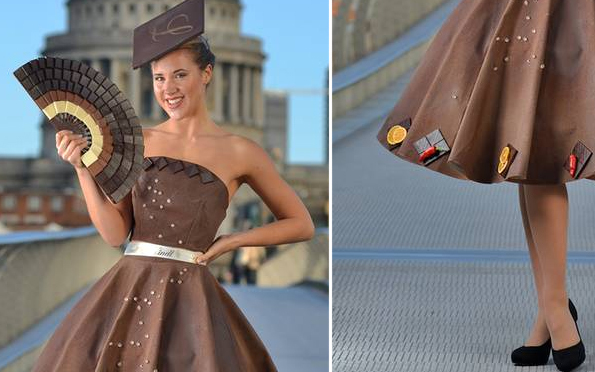 This strapless dress, known as Eternal Diamond was made by designer Lauren Smith with the help of the Lindt Master Chocolatier. It uses over 100 grams of chocolate and took two weeks to make. Which is funny because it should make you gain many, many pounds and will take just two hours to eat.